Ecuador is a seaside destination that sits on the west coast of South America. With a wealth of history and nature, this nation offers you the wildlife-rich Galápagos Islands and the Spanish architecture of the capital, Quito. Top attractions include Museo Templo del Sol Pintor Ortega Maila (Quito) and Galápagos Beach at Tortuga Bay (Santa Cruz). Get ready for a memorable holiday in this South American destination, because cheap flights to Ecuador are now available! The capital Quito, is home to Mariscal Sucre International Airport (UIO), which is a 40-minute drive from the city centre. With places like the Andean Mountains, the Amazon Forest and Galápagos Islands, Ecuador offers you many picture-perfect settings to ensure you have wonderful memories of this naturally rich destination. Once you visit the Galápagos Islands, you’ll discover a stunning wealth of animals, on land and in the sea. Keep an eye out for residents like tortoises, marine iguanas, sea lions, sloths, toucans and more! Get a glimpse into the story behind Ecuador with an exploration of its many historic sites. 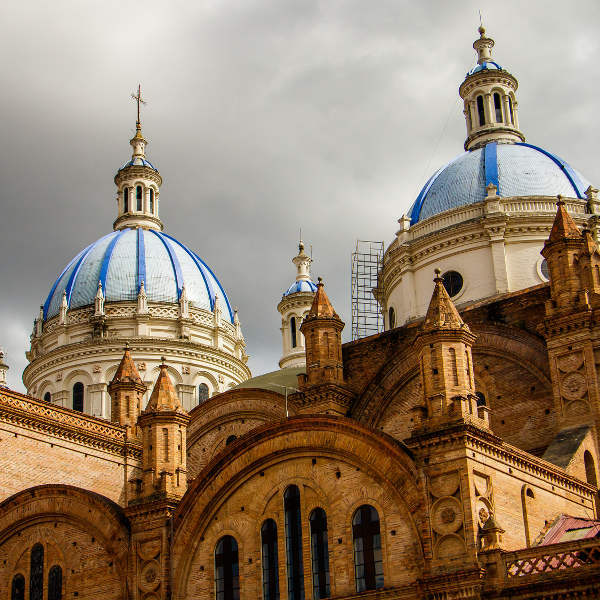 These include majestic churches like the Church and Convent of St. Francis in Quito and the ruins of Ingapirca. The weather in Quito is constantly moderate with only variation in its rainfall. The dry summer is between June and September while the wet winter is between October and May. The conditions of the summer ensure that it is the most popular time to visit the capital and is when hotel prices are at their highest. To skip the crowds and get cheaper accommodation, visit between February and May, and between October and November. Despite the rainfall, you will still be able to experience Quito’s beauty and enjoy events like All Saints’ Day and Day of the Dead (November). Guayaquil experiences high temperatures throughout the year, with a dry season between June and November and a wet season between December and April. The most popular time to explore this city is during the dry season, when hotel prices and tourist volumes will rise. To ensure you get a more pleasant holiday experience, visit Guayaquil during May. The rainfall will have greatly receded and the tourist crowds have yet to arrive. The wet season is the cheapest time to go, but pack a raincoat or an umbrella. The rest of Ecuador experiences various climates across its regions. Check the weather reports for the areas you plan on visiting. 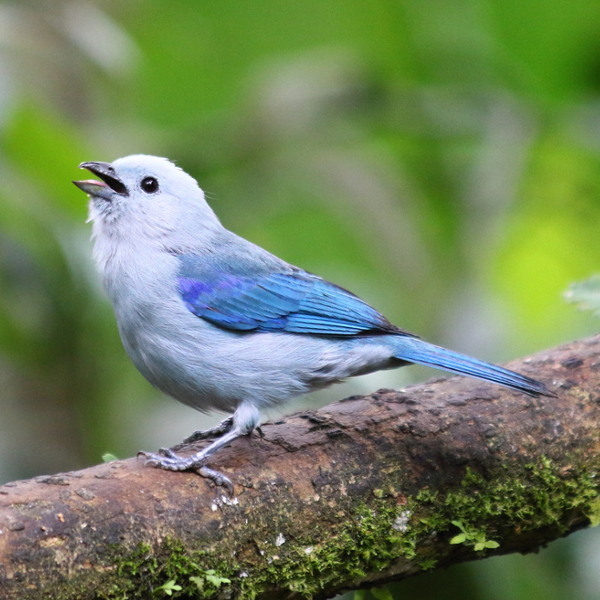 Start your preparations to immerse yourself in the wonderful Ecuador. This west coast nation offers you the opportunity to discover breath-taking wildlife, especially on the likes of Galápagos Island and in the vast Amazon Forest. Ecuador is additionally famed for its diverse culture, with the remote settlements in the well-known rainforest and the colonial architecture of the capital, Quito. This beautiful country goes further to offer you an excellent holiday experience with sun-splashed beaches and friendly locals. Quito boasts a fantastic setting, in the scenic Guayllabamba River basin, with the surrounding Andes Mountains. Explore and admire the picturesque Plaza Grande Square and the contemporary apartment buildings and modest homes that sit on the slopes of the hills. Quito sits on the remains of an ancient Incan city, and includes historic sites like 16th and 17th-century churches. The energetic and diverse district of La Mariscal includes several appealing restaurants, stores and bars. 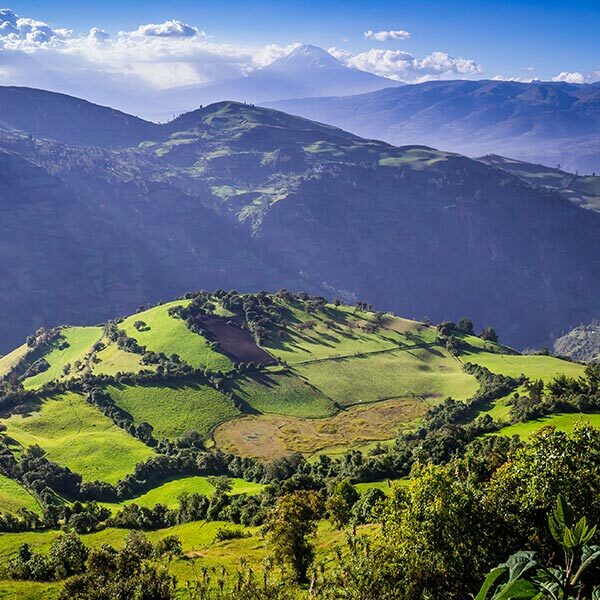 For the adventurous, enjoy a hike or a bike ride up the many trails of Pichincha Volcano while the TelefériQo Cableway offers you stunning views over the El Panecillo Hill and the gorgeous statue of Virgin of Quito. The charming port city of Guayaquil provides the gateway to Pacific beaches and the Galápagos Island. One of its most wonderful sights is the Seminario Park, the home of more than 100 friendly iguanas, which visitors can feed! This destination offers more outdoor activities with the hiking trails up Las Peñas, which offers magnificent views of the city below! Compare several airlines and book your cheap flights to Ecuador online at Travelstart! If obtaining a yellow fever vaccination, make sure to get a certificate. The Zika virus is a risk in Ecuador, so pregnant women are advised to avoid visiting the country to prevent infection. This virus is transmitted through mosquito bites. Stay safe in Ecuador by practising basic caution. Avoid flashing large sums of money. The area near the Colombian border is dangerous, so it would best to stay away. Avoid all civic disturbances and refrain from using side streets in the big cities. When you’re at the beach, make sure someone watches over your belongings. In crowded areas, keep your valuables close and in a secure place due to the risk of pickpocketing. Check with hotel staff on places that should be avoided.